Sir John Peace has today been announced as the new Chancellor of Nottingham Trent University. Sir John is the Lord-Lieutenant of Nottinghamshire, and has had a long and distinguished career across the technology, financial services and retail sectors. He is currently Chairman of global fashion brand Burberry plc and Chairman of the Midlands Engine. He is committed to supporting the growth of the region and has a long-standing interest in education. Between 1999 and 2009 he was Chairman of the Board of Governors at NTU, and he is also a Trustee of the Djanogly City Academy in Nottingham. Sir John has held Chief Executive roles within a range of organisations including the financial services company Experian plc, of which he was one of the founders, and GUS plc. He has also been Chairman of Standard Chartered plc and the Work Foundation, a leading independent think-tank. Sir John will be officially installed in his new role at a special ceremony on 8 December at the University during the Winter graduation period. The role of Chancellor is to undertake a number of important ceremonial duties, including conferring degrees at graduation ceremonies and representing the University at events. He takes over the role from Kevin Cahill OBE, who was Chancellor of the University for three years from 2014. 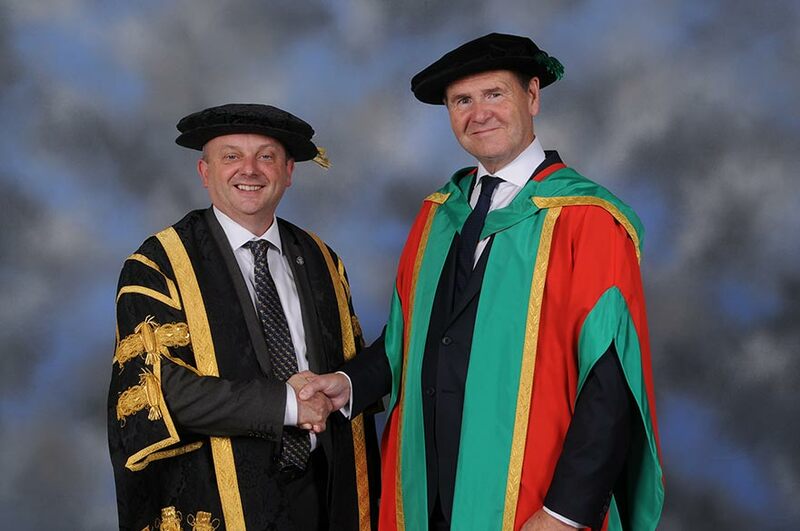 Sir John was knighted in 2011 for services to business and the voluntary sector, and was awarded an Honorary Doctorate in Business Administration from NTU in 2015, in recognition of his contribution to the civic and commercial life of the City and County. The University is passionate about creating opportunities and its extensive outreach programme is designed to enable NTU to be a vehicle for social mobility. The University is the sixth biggest recruiter of students from disadvantaged backgrounds in the country and 95.6% of its graduates go on to employment or further education within six months of leaving.